The State Department is spending $75,000 for a "Women in STEM Roadshow" across India. The U.S. Embassy in New Delhi announced last month that it is seeking a non-profit organization to run nine workshops to "create awareness" about science, technology, engineering, and math in Hyderabad, the center of India's technology sector. 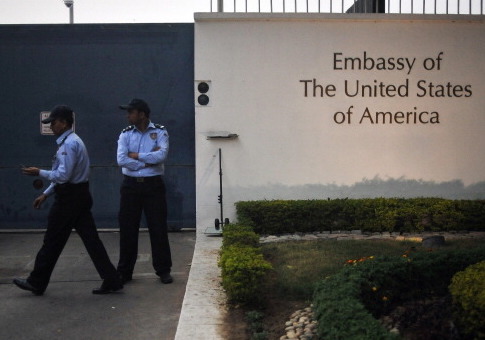 "The Public Affairs Section of the U.S. Embassy in New Delhi (PAS New Delhi) in coordination with U.S. Consulate General Hyderabad and U.S. Consulate General Kolkata seeks proposals for a project entitled ‘Women in STEM Roadshow,'" the Embassy said. "Through this project, a grantee will organize a ‘Women in STEM Roadshow' comprised of nine workshops in Tier-1 and Tier-2 cities in the consulate districts of New Delhi, Hyderabad, and Kolkata." The workshops will feature guest speakers who are experts in STEM fields, and a minimum of 30 women and girls must attend each workshop. "The workshops will provide information to girls and young women about pursuing opportunities in science, technology, engineering and math (STEM) fields—areas which represent an important source of professional employment opportunities in India," the Embassy said. Workshop topics for the roadshow may include "The global landscape in the STEM fields," "Strategies for pursuing a career in the STEM fields," and "Techniques for confronting gender-related obstacles in school and at work." The non-profit or non-governmental organization that is awarded the grant will use the funding to pay for venues and travel costs for guest speakers. The group will also come up with a social media plan to advertise the workshops. Evaluations will be handed out following each workshop to "assess how female student perceptions on the attainability and feasibility of STEM studies changed after the project." "The U.S. Embassy strongly supports initiatives that promote women's social and economic development, integrate women into peace and security building, address and prevent gender-based violence, and ensure women's full participation in civic and political life," the Embassy said. "Research shows that progress in women's employment, health, and education can lead to greater economic growth and stronger communities. Integrating women in the corporate and government sectors is critical to good governance, economic growth, inclusive development, and regional security." This entry was posted in Issues and tagged Government Spending, India, State Department. Bookmark the permalink.